Former Governor of Pennsylvania and head of United States Homeland Security Tom Ridge leads the world in combatting cyber crime. 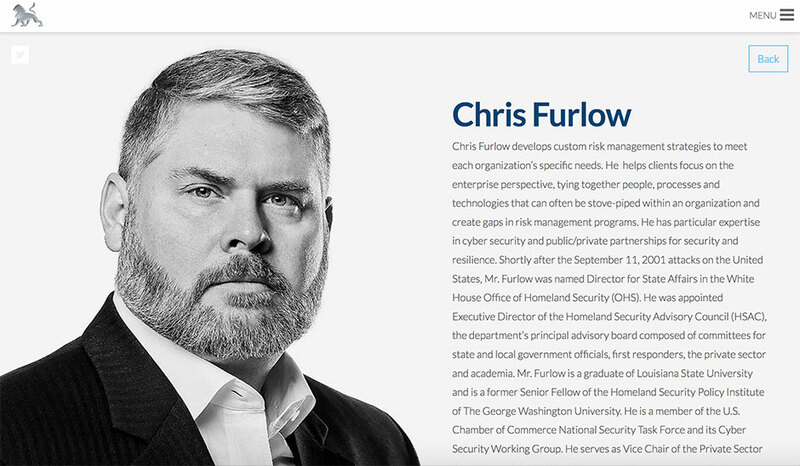 His extensive and unique experiences of building the U.S. security infrastructure post 9/11 combined with the experts he's teamed with from the security and policy sectors have built a mulit-faceted practice. 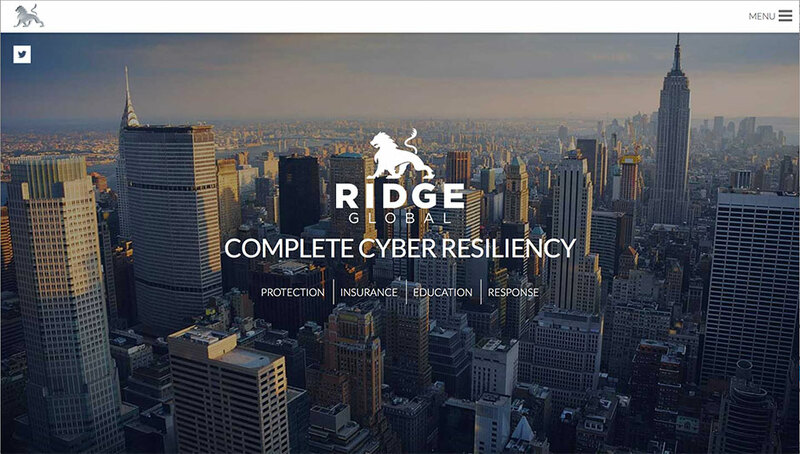 When there's a cyber incident, Ridge Global is the go-to expert for CEOs of the largest enterprises worldwide. Like many companies, Ridge Global needed to understand who they are. The practice is a conglomerate of several specialty service lines that include cyber security, insurance, education, and policy. Unlike many companies though, the umbrella uniting these specialty lines is the The Honorable Tom Ridge's name. We started by aligning several lines of business under a consolidated Ridge Global brand. From this brand center, we provided a digital platform to express the various service lines and showcase who Ridge Global is, its key people, and what the company is capable of. We helped the company express the brand through business collateral. You'll know when you get a Ridge Global business card, you're getting the best — you're getting Tom Ridge. Freefall was engaged to design and develop a new Ridge Global web site. The site is naturally responsive and built on a CMS to provide simple management.